Winter is in full swing and although by now we must be used to it, it is still important to remind ourselves that we need to take certain precautions in the colder months. 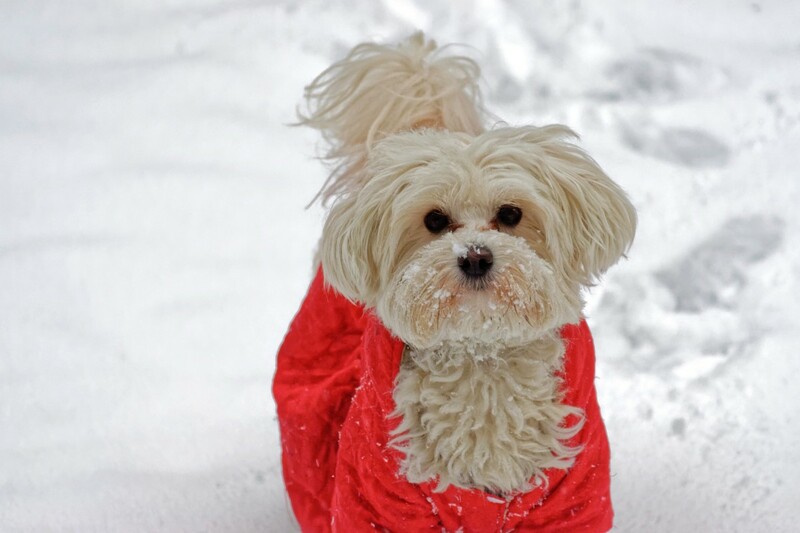 We make sure to bundle up and stay indoors whenever possible but what about our furry friends? 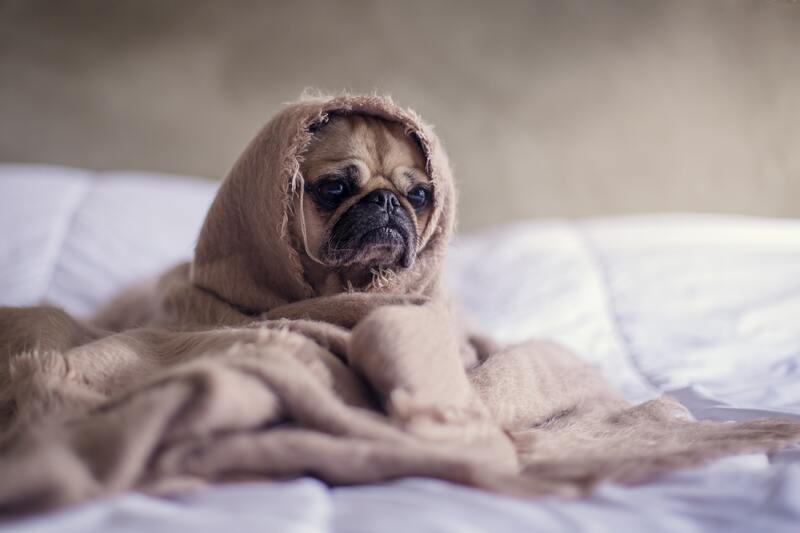 Read on about tips and tricks on how to make sure your pet is comfy cozy this winter. Different dogs handle cold weather differently. You must learn your pet’s limits to the cold. Dogs with longer, thicker coats may be able to tolerate being outdoors for longer periods of time or in colder weather as opposed to dogs with shorter coats. Being lower to the ground also affects how chilly your pet can get. Older dogs are more prone to aches and pains caused by past injuries or arthritis and are more prone to slipping on ice. 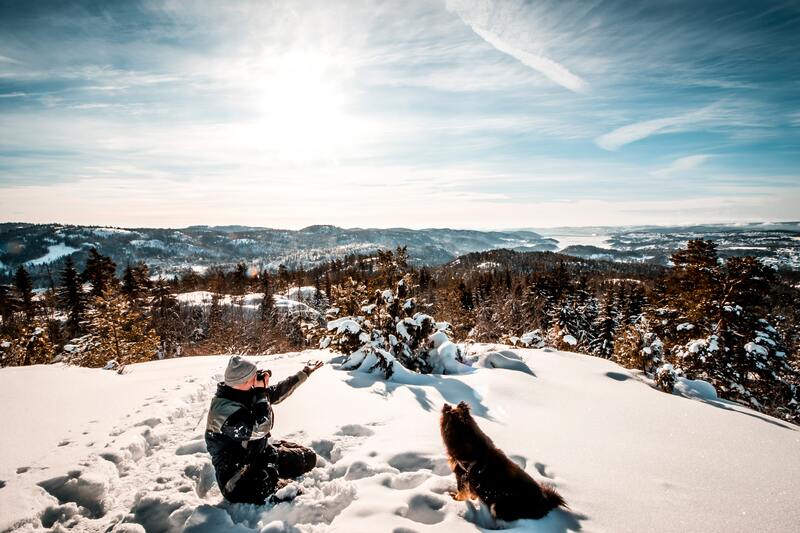 Pay attention to the sometimes subtle sign your dog gives you to make sure you can adapt to what they need to stay comfortable in cold weather. Your dog’s paws can easily get damaged with all the salt on the roads, not to mention the fact that they are walking on below freezing concrete. Snow and ice can also accumulate between your pet’s toes so try to keep the fur around their paws nice and short during the winter. Booties are available for all size dogs to help with snow accumulation and paw damage caused by road salt. 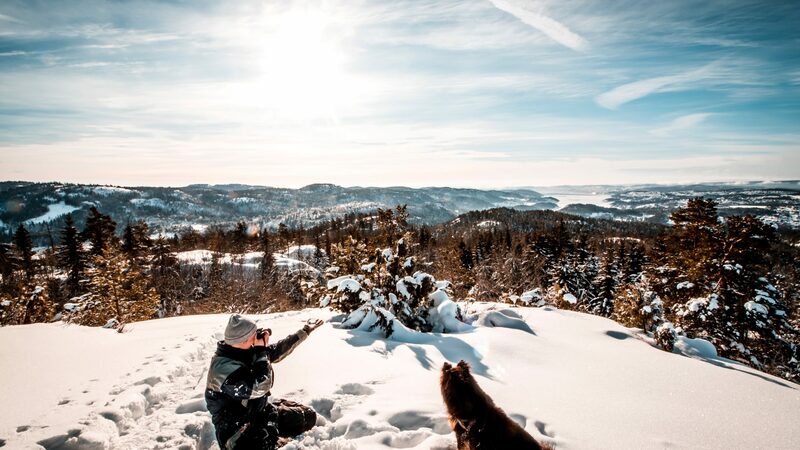 Make sure that after walks, you wipe down your pet’s paws and bellies to not only keep your home clean but help prevent any chemicals used to prevent slipping and ice building from penetrating into your pet’s system or damaging their paw pads. There are products available to help keep your pet’s paw pads moisturized and protected during the cold winter months. No matter if you have an 80lb pitbull or a 5lb chihuahua, chances are they will need a coat during the colder months. Any short-haired breeds need protection from the cold; especially if they have short legs bringing them closer to the ground. Make sure to have a few on hand in case they get wet. A wet coat or sweater can actually amplify the cold and increase your dog’s chance of getting frostbite or hypothermia. Be aware that antifreeze and carbon monoxide poisoning are real risks for your pets in the winter. 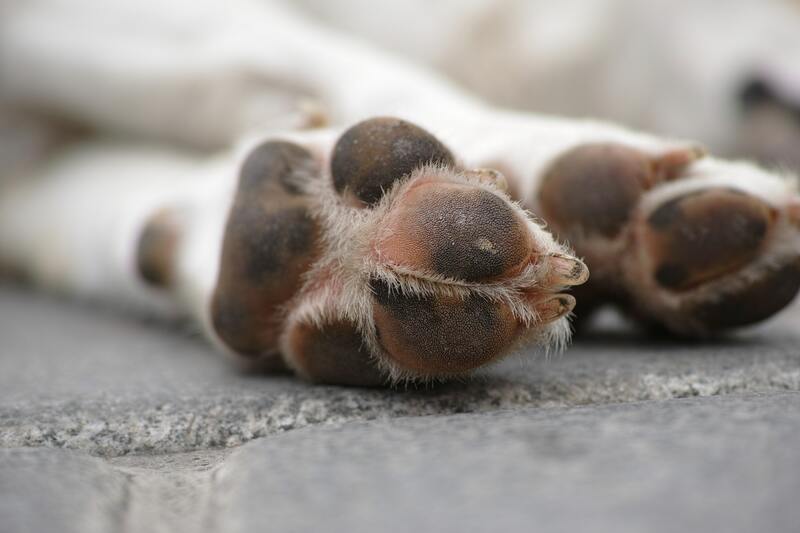 We would like to repeat the importance of wiping your dog’s paws when they come in from a walk; there are all kinds of chemicals they could have picked up from the road. Avoid spilling windshield washer fluid in your driveway by filling it up at a gas station. Do no leave your pet in the car even in the winter. Not only can the inside of your car super-cool, much like it can super-heat in the summer, but carbon monoxide can seep in from the heating systems when left idle. Keep your pet safe! There are so many missing pets in the winter months. Why? Sometimes it can be because pet owners use their yards more because they feel less inclined to go out on walks and some yards are not fully fenced or fully secured but pets also go missing in the colder months because snow and ice can hide recognizable scents that might normally help your pet find their way back home. Make sure your pet has a well-fitting collar with up-to-date identification and contact information. 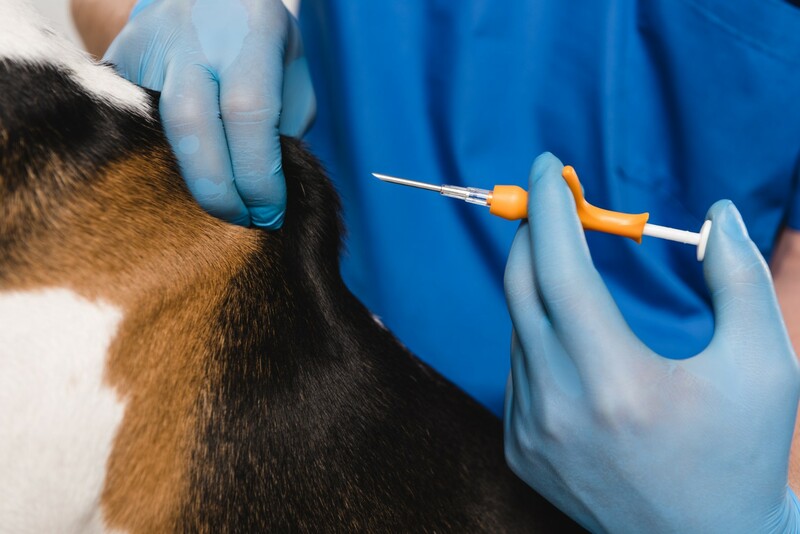 A microchip is a more permanent means of identification, but it’s critical that you keep the registration up to date. Try not to overfeed your pet in the winter. A lot of people have the mentality that it is ok to put on some winter weight. Although that may be fine for us who have months before shorts and bathing suits but for your pets, it is not a good idea. The health risks associated with your pet gaining even a couple of pounds can be severe. If your pet is not getting as much exercise in the winter and is not burning as many calories, consider talking to your vet about cutting down on their food. If it’s too cold for you outside, chances are it’s too cold for your pet. You know those days when you walk outside in the morning and your nostrils almost instantly freeze together? Those are they days when you need to just stay indoors. Obviously your dog will need to go out at least twice to do their daily business but keep outdoor activity to a minimum. Next week read all about indoor activities to do with your dog this winter! Neighbourhood cats and sometimes other animals seek shelter in the cold. This shelter can sometimes be the underbelly of your car. 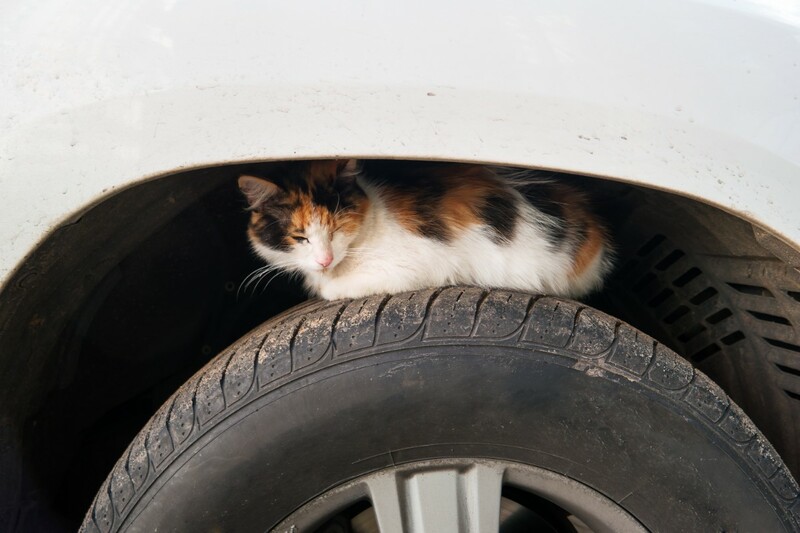 The soft hum and the heat that your car exudes when you turn it on can attract animals to it so make sure before you get in, bang on your hood of your car and give any visitors a chance to get to safety before driving off.